Is that Penny Wells sitting on the boardwalk? All of the links below connect to PDF files; many from the New York Times. They may be viewed with Adobe Reader (download Adobe Reader). "Gaylord Starin White 1864-1931," Union Seminary Alumni Bulletin, circa 1932. "One more memory, the most intimate of all, carries me back fifteen years to a cloudless afternoon in 1916, when all the White family were gathered at their summer home on Cape Cod. Mr. and Mrs. White had just returned from a week's motoring with friends, a sort of belated honeymoon, to which he always looked back as a time of peculiar happiness. In the afternoon the children had gathered for bathing at the beach and Mr. and Mrs. White were watching them. After a while she rose, saying she was tired and would go to her room to rest. When an hour later he rejoined her he found her sleeping the sleep from which there is no waking here. What she had been to him in all their years of married life, no words of mine can tell. What the Settlement would have been without the home she helped to found, no one who knew it can imagine. Of all my memories of them, that center of peace in East 104th Street [the location of Union Settlement] is the most sacred and abiding. And now he too, after fifteen more busy and useful years, has come to the time when rest was earned. How could one imagine a fitter homegoing. Like hers, it was a falling asleep after a useful and happy day. For him, as for her, we may be sure that useful and happy days are waiting." 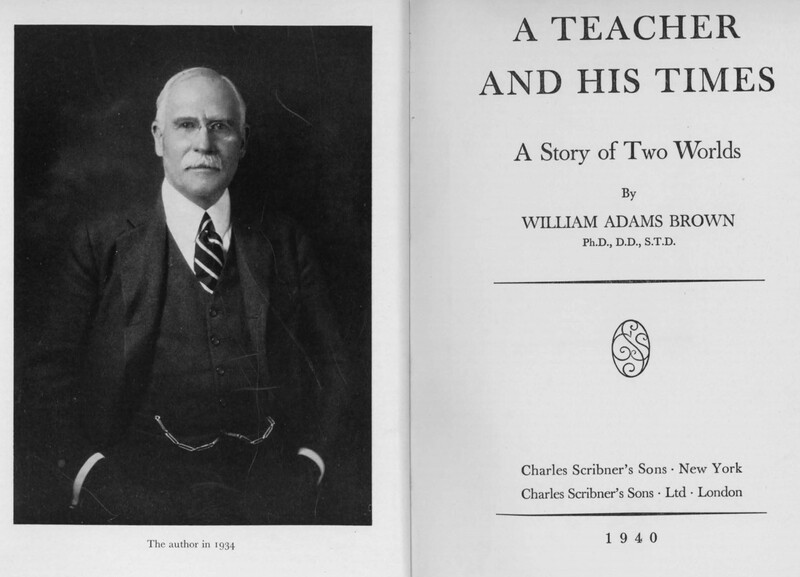 William Adams Brown, A Teacher and his Times: A Story of Two Worlds (New York: Charles Scribner's Sons, 1940). About eight years after Brown wrote the article above, he published his memoirs, in which Gaylord Starin White makes recurring appearances. They graduated from Union Seminary at the same time and went off to Germany together to study at the University of Berlin in 1890. As Brown notes, "During most of my student life in Berlin I lived with my classmate, White, in a pension on the top floor of No. 73 Koniggraetzer Strasse [Königgrätzer Straße, now Stresemannstraße], a quarter of an hour's walk from the University." Brown and White's European tour continued to London where they visited Toynbee Hall, one of the first Settlement Houses. 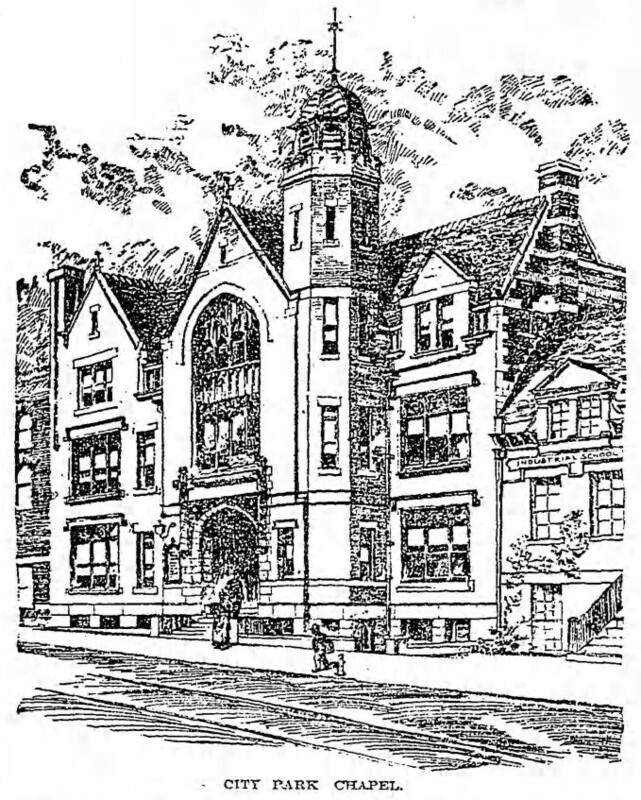 Upon returning to the New York, they were convinced that Union Seminary should create its own Settlement House. Brown's book details the founding of Union Settlement at considerable length and notes that White was the second "head worker" there, to whom much of the later success of the Settlement was due" (p. 161). I have created a PDF of the passages of A Teacher and his Times that make reference to Gaylord Starin White. It may be read here. "White Chosen Dean at Union Seminary"
"Rev. Dr. G. S. White Found Dead in Bed"
Gaylord White Houses in NYC -- how they got their name. "New Institutional Church," The Brooklyn Daily Eagle, April 8, 1896, p. 11. Article about Gaylord S. White's first church and its new building. It was originally known as the City Park Chapel and was his first appointment as a pastor, beginning on September 3, 1893. 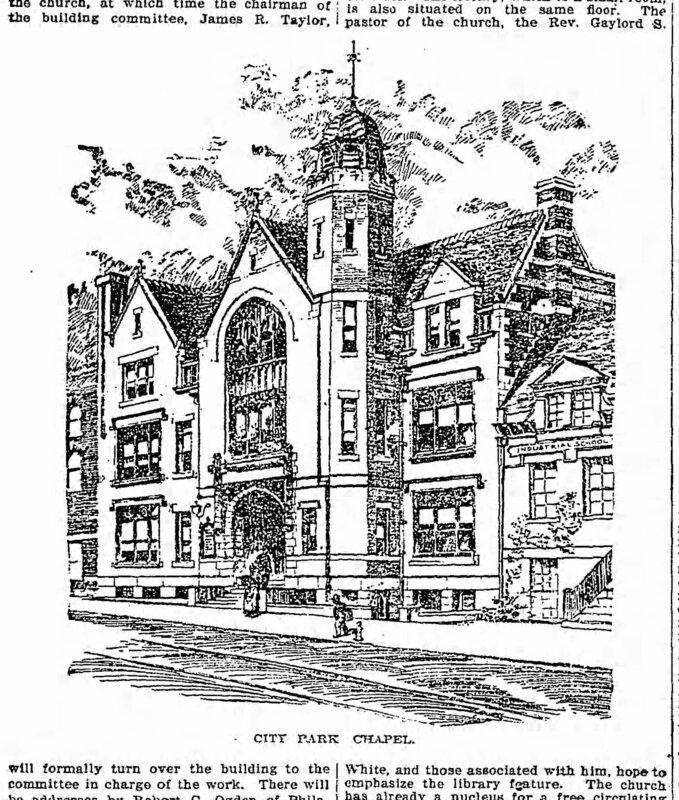 In 1896 a new building was dedicated and the name was changed to the City Park Branch of First Presbyterian Church. The new building was designed to function as a settlement house. Gaylord S. White, "The Social Settlement after Twenty-Five Years," The Harvard Theological Review, vol. 4, no. 1 (Jan. 1911), 47-70. Gaylord S. White, "Reflections of a Settlement Worker," Scribner's Magazine LXXVI (July-December 1924), 633-638. Harry P. Kraus, The Settlement Movement in New York City, 1886-1914 (NY: Arno Press, 1980). A thesis, written in 1970, about New York social settlements, which includes this acknowledgement: "l owe a special debt to Mrs. Franklin C. Wells and her brother, Mr. Charles T. White, for materials and personal recollections concerning their father, Gaylord S. White." GSW is quoted and cited several times, and over three pages are devoted to his life and his participation in the Union Settlement (including his annual salary of $3,500!) -- pp. 93-96. "Miss White to Wed F. C. Wells, Jr."
"Katharine White Weds H. H. Hopkins"
"The City's History Told in a Pageant" -- designed by F. C. Wells, Jr.
My Father, Franklin Chamberlain Wells [Sr.]: A Genealogy, aka The Genealogies of the Downs and Wells Families, compiled by Elizabeth Wells Shoemaker, 1973-1976. 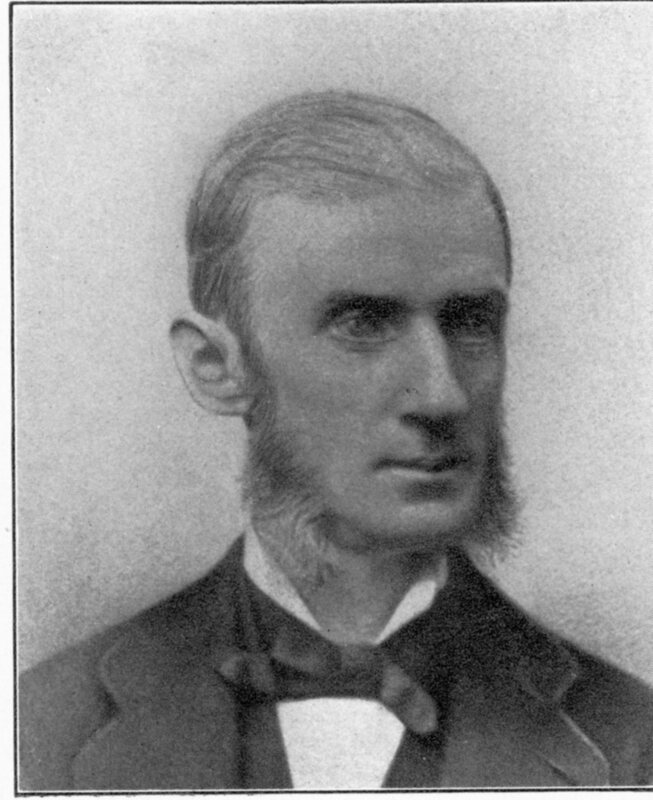 Richard Lowitt, A Merchant Prince of the Nineteenth Century: William E. Dodge (NY: Columbia University Press, 1954). W. E. Dodge is my 4th-great uncle. Chapter One of this biography goes into considerable detail about W. E. Dodge's father (and my 4th great-grandfather), David Low Dodge (1774-1852). The number system begins with my parents' generation as #1 on each side. For each preceding generation the individual's number is doubled for the male ancestor with the following odd number for the female line. The first page for each family lists five generations. Each ancestor of the fifth generation begins a new page, numbered M2 to M17 and W2 to W17 respectively. The Moore pages are taken mostly from a '"Genealogical Record" compiled by my father on a printed form given to him in 1893 by Grandmother Moore [Harriet Foote Moore]. She also left very voluminous notes in her own handwriting. On the White side I have a hand written record prepared by my mother of her ancestors, along with two large notebooks of notes from her own researches." 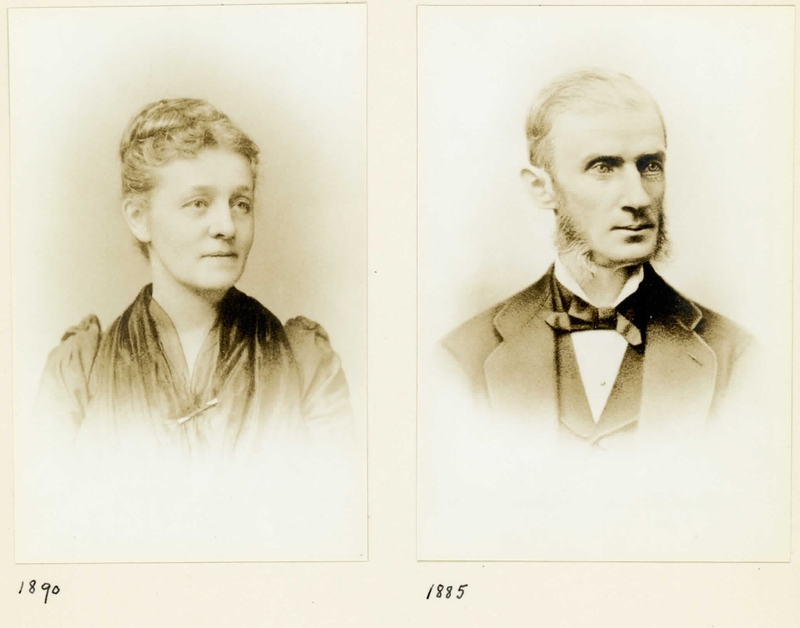 A Goodly Heritage: Charles Trumbull White and Georgiana Starin, a remembrance by their daughter, Anna Barnard White Moore (spouse of Frank Gardner Moore, above), written in 1940. Erskine Norman White, Norman White, His Ancestors and His Descendents (New York: n.p., 1905). who married Georgiana Starin White (September 25, 1837-February 17, 1904; photographed 1896) on September 30, 1857 in Auburn, NY. 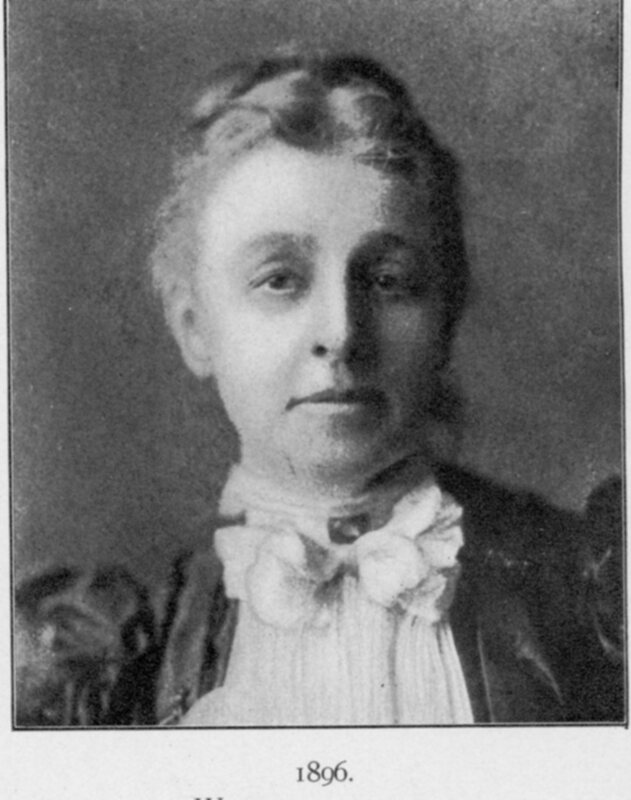 "He married, June 6th, 1892, Sophie Douglass, daughter of James Hyde and Sophie (Douglass) Young. She was born May 29th, 1866. One of her forefathers, James Hyde, was also an ancestor of her husband. Charles Trumbull, born October 6th, 1896. Cleveland Stuart, born July 28th, 1900. 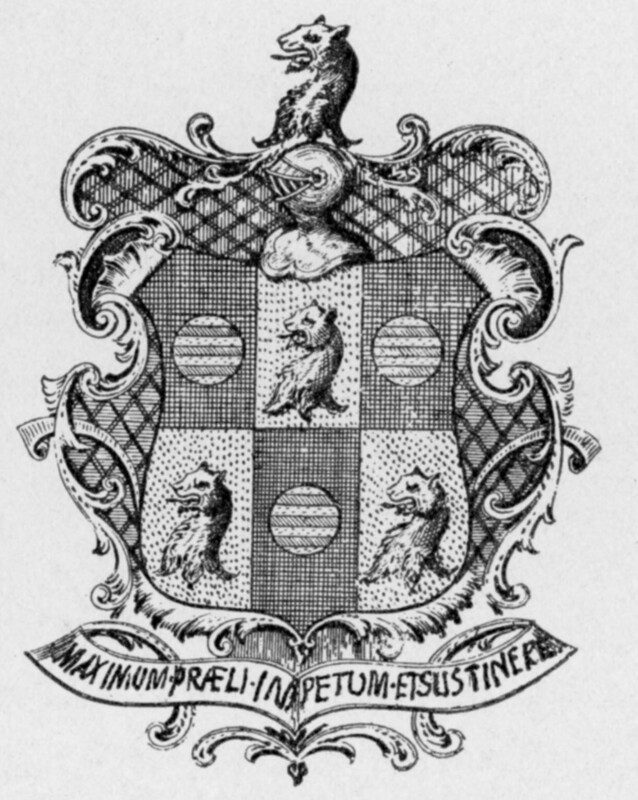 White family coat of arms: "Maximum Praeli Impetum Et Sustinere" ("maximum battles attack and sustain"? ).